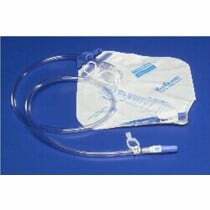 Drainage Bags are the style of urine bag that is designed to hang at your bedside. 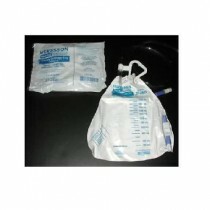 We offer drainage bags from quality manufacturers such as Bard, Kendall, Rusch and others. 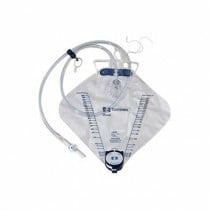 These urine bags come in a variety of capacities or sizes and some drainage bags are latex-free. 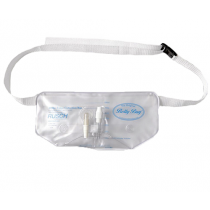 This video will show you how to change your Foley Catheter Drainage bag from a night bag to a day bag. 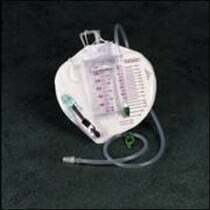 A Foley catheter is also known as a urinary catheter. First, make sure you have all the supplies you need in front of you. 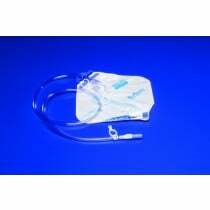 You'll need a Cath-Secure, your day drainage bag, a vinegar and water solution for washing your night bag and an alcohol wipe. The solution should be one part vinegar and three parts water. Empty your night bag before you get started. Be sure to wash your hands with soap and water when you're finished. If you're using a new bag, prepare the Velcro straps ahead of time. To cut the straps, measure them around your leg. Trim off any excess. You can also use the straps you used before as a guide. Don't make the Velcro straps too tight. If they leave a mark in your leg,they are too tight and need to be loosened. 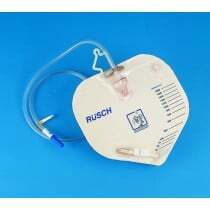 If your Cath-Secure is loose or coming off, remove it and wash the area. You can use adhesive remover to take offany excess glue. 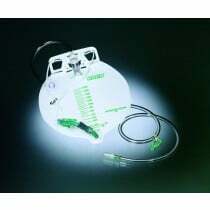 Remember, you can leave your Cath-Secure on for up to three days, as long as it’s securely sticking to your leg. 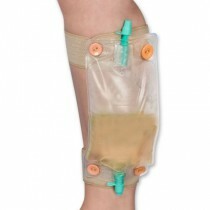 Make sure your leg is clean and dry. 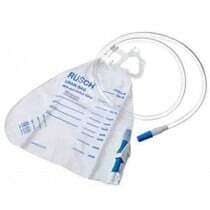 Place your new Cath-Secure firmly onto your skin. Smooth it using your fingers. 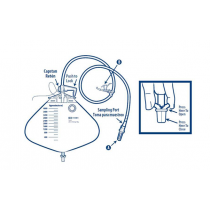 Close the clamp on the bag that you're changing over to. In this case, it's the day bag. 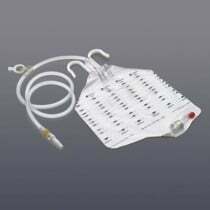 Remove the cap from the day bag without touching the top. 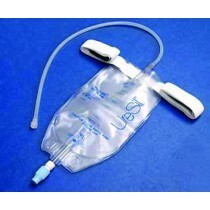 Clean the end of the bag that plugs into the catheter with an alcohol wipe. 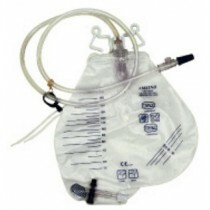 Pinch off the catheter with your fingers and disconnect the night bag and connect the day bag. 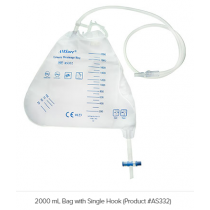 When you change the bag, don't let the end of the catheter or the top of the bag touch any dirty surfaces. Now you're ready to secure the day bag. It comes with two Velcro straps. Secure the straps around your leg. Always wearthe day bag below your knee. This helps it to drain. Whenever you exchange your bags, clean the one you took off. 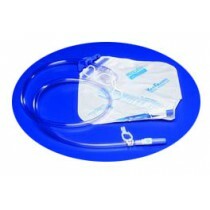 To clean your drainage bag, rinse it with cool water. Don't use hot water because it can damage the plastic. 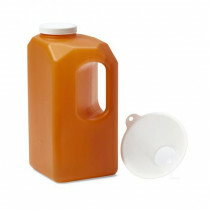 To reduce odor, fill the bag halfway with the vinegar and water solution. Remember, this is one part vinegar and three parts water. Shake the bag and letit sit for 15 minutes. Rinse the bag with cool water and hang it to dry. 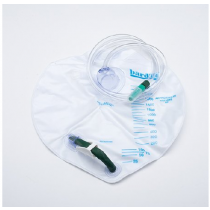 For moreinformation on caring for your Foley catheter, refer to the print materials your nurse gave you. 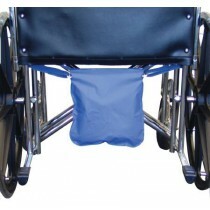 You can also find this information online by visiting mskcc.org. 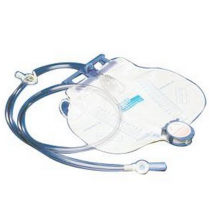 If you have any questions about caring for your catheter, call your doctor's office.